With assistance of technically assisted facilities, we are presenting Show Antenna. Offered car antenna is designed in sync with norms of market using advance techniques & supreme quality material. The offered car antenna is strictly checked on numerous stages of manufacturing by our quality analysts for assuring their excellence. 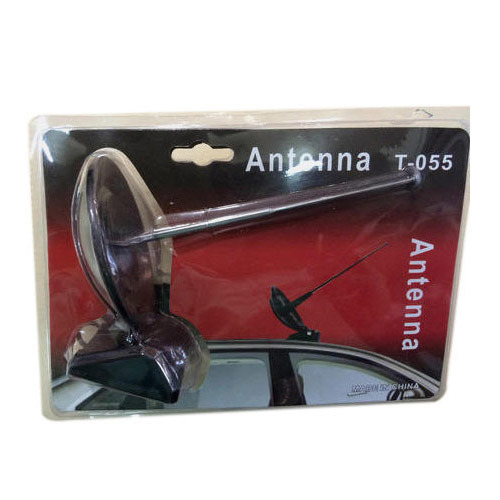 Customers can easily purchase this car antenna in various sizes & other specifications. Established in 1969, Elite Industries (India) started with an aim to manufacture, supply and trade superior range of Automotive and Gift Products which are technically healthy. Our manufacturing range includes New Items, Steering Wheel Cover, Door Visors and others too. From the beginning of our operation, we have maintained a customer centric approach and thus in any circumstances we pay emphasis on quality and meet customer satisfaction. We know the value of quality and therefore, pay attention while selecting the raw materials for the manufacturing of our products. We have a record of certified vendors whose products are quality tested and approved from the accredited body. Even for our vendors’ client satisfaction plays a significant role and thus they very attentively and carefully deliver raw materials. We have been delivering since years, and since then our team has dedicatedly been producing items which are durable, available in advanced and fine designs, can be used for longer time. We deals in various brands like Venus, NI and Elite. The range of catalogue products which we offer are water, UV resistant and even don’t fade its colors. Available in a variety of shape and size our items can easily get fitted, the fine finishes of them gives an attractive look is highly acclaimed by the clients. Our highly upgraded infrastructure unit makes our job simple and trouble-free and also help us in making timely delivery. Our automotive products are available for all the car models available which are easy to maintain and are even wear and tear resistance.